After three sets of that, I had more water and was expecting a third group of exercises. I was pleasantly surprised when Pete said it was time to stretch and go home! 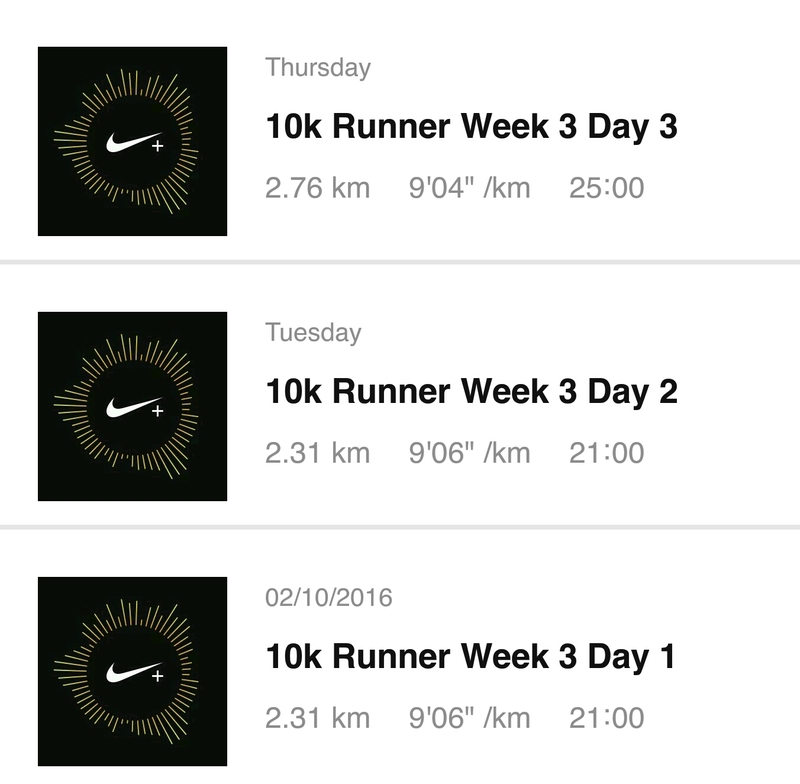 On Tuesday I went to the gym for Week 3 Day 2 of the 10k Runner app, which was the same as Sunday’s run. I had some much-needed water and a rest after that. I could have also done with a nap but that wasn’t happening. For the second group of exercises Group A consisted of combined squat/shoulder press (10-lb weights), jumping jacks, bicep curls (10-lb weights in the first set and 3-kg weights in the next two sets). Group B was bicycle crunches, wood chop (10-lb weight) on each side and running on the spot. I was exhausted after that second group of exercises. Pete said I’d finish off the session with an easy 1 km on the cross-trainer. I did some stretches after that and went home. Distance covered? 7.38 km in total. Low point of the week? I’m still not eating very well. Weight loss? It’s not even worth mentioning.